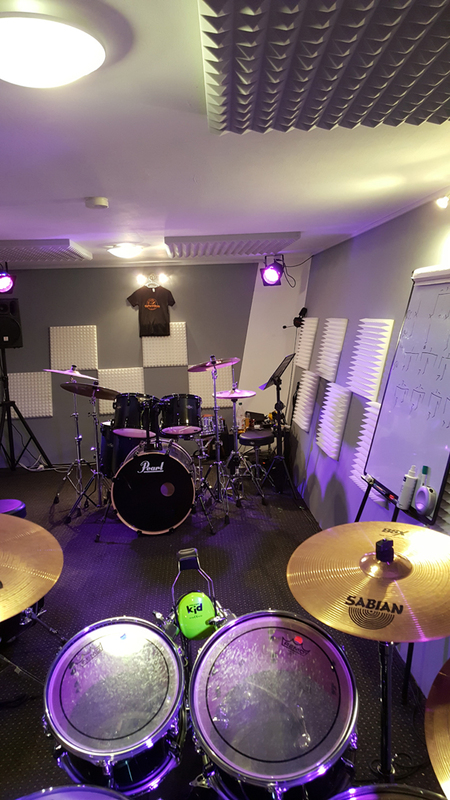 Our seven practice studios are centrally located in Berlin and are equipped with headsets, Sabian cymbals and Pearl Drumkits. We give our students a useful opportunity to practice outside of regular lessons. 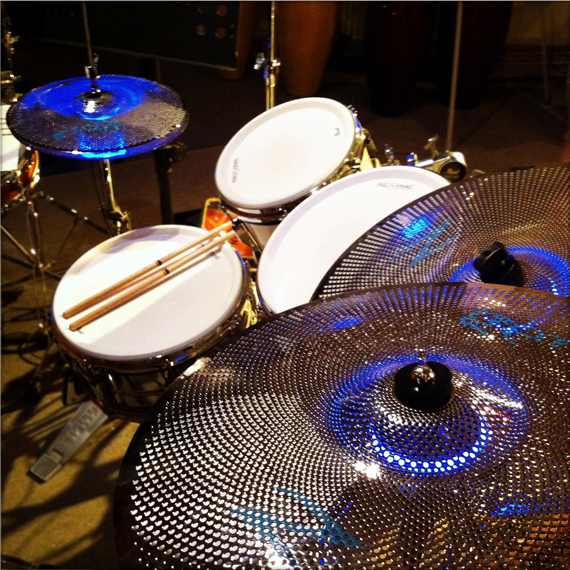 In our largest studio, we offer private lessons and group lessons. 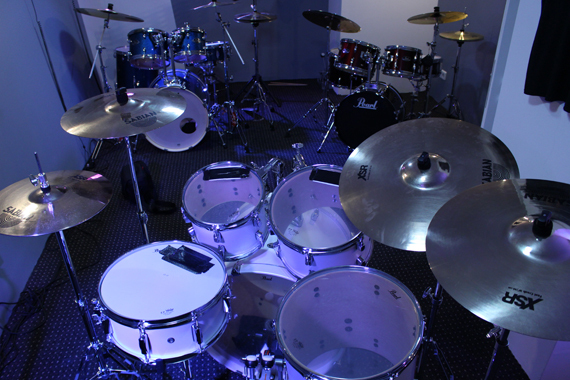 This is also where our rehearsals for our legendary thePlanetDrum Party, live playing workshops and clinics take place. In summer 2017 a second studio was built on the location. The studios are centrally located in the Reuterkiez district, between Landwehrkanal and Görlitzer Park, and have a direct link to Hermannplatz and Görlitzer Bahnhof underground stations using the M29 bus route (Glogauer Straße). 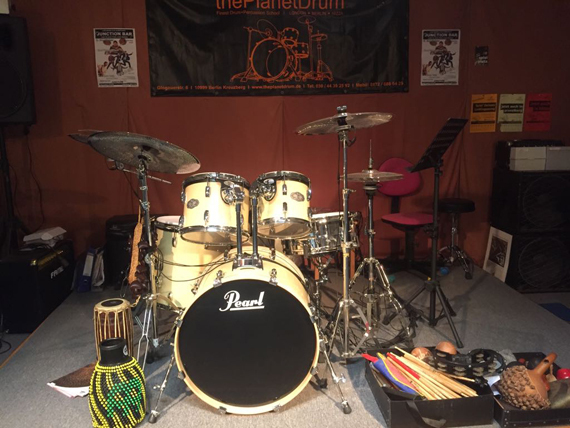 As of August 2018, thePlanetDrum’s gone overground! Leaving Prenzlauer Berg to the north via Schönhauser Allee, you’ll find our bright, sunlit studio at 62 Mühlenstraße, on the site of the Panke auto garage. We’ve opened up our new location between Pankow station (S2, S8, S85, M1, M27 + U2) and Vinetastraße station (M1 + U2), right next to the Florakiez neighborhood. In the good company of a capoeira school and the Berta Block bouldering center, among others, we feel that this is an uplifting place to be, and we hope you’ll be able to share in the experience! 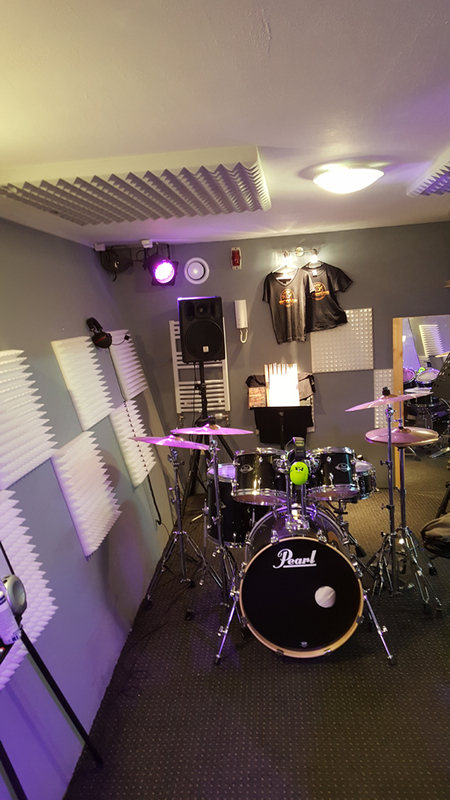 Our studio has two Pearl ePro drum kits, individually volume-adjustable, with Sabian cymbals, plus a kit specially for children. 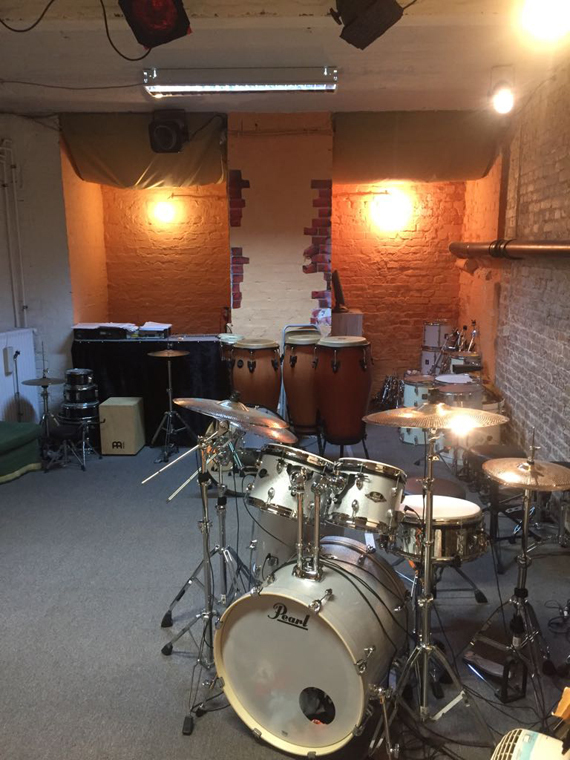 As of March 2019, we’re offering you drum and percussion tuition in our brand-new studios in the Berlin Musikfabrik in Neukölln. The newly created Musikfabrik brings together musicians, percussion and drum schools, and a café, all under one roof. 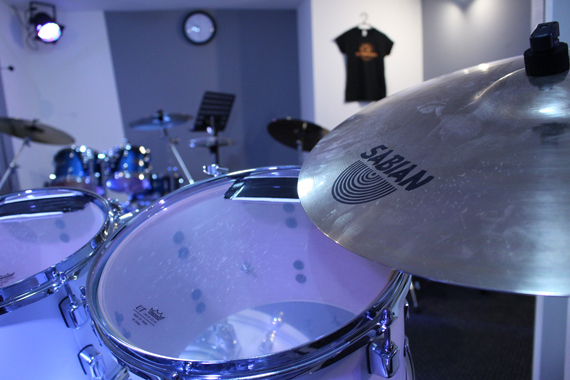 In our two rooms at this site, we‘ll be teaching you on modern Pearl acoustic drum kits and Sabian cymbals. Both studios have plenty of daylight and a view over the rooftops of Berlin. You can reach our studio using Ringbahn S 41 and S 42 (S Sonnenallee) or S 45, S 46 and S 47 (Köllnische Heide), or using bus lines 246 and 370 (Neuköllnische Brücke) or 277 and 377 (Neuköllnische Allee).